Bhutan boycotted the first Forum meet in 2017 too, aligning itself with India which sees BRI as a threat. 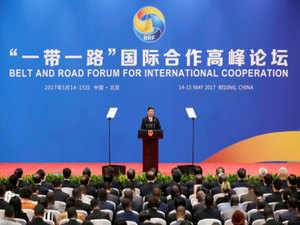 NEW DELHI: While India has rejected China's invite for Belt and Road Forum meet, most of its neighbours including the Maldives, Sri Lanka, Nepal and Bangladesh have confirmed participation in the event. In fact, in a 2017 rerun, Bhutan is the only country in the immediate neighbourhood which is again holding out against Chinese attempts to rope it in for the event which is likely to be attended by 40 heads of state and government. Diplomatic sources here said Bhutan is unlikely to attend the BRI Forum meet. China has in the past 12 months intensified engagement with the new government in Thimphu in an effort to wean it away from India’s sphere of influence. While Bhutan, which does not have diplomatic relations with China, is looking at Beijing as a potential partner in attempts to diversify its economy, it knows that its presence at the Forum meet is unlikely to go down well with the Indian establishment. 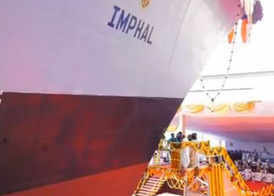 Bhutan boycotted the first Forum meet in 2017 too, aligning itself with India which sees BRI as undermining its sovereignty in the form of the China-Pakistan Economic Corridor that passes through Pakistan controlled Gilgit-Baltistan region of the state of J&K. As reported by ToI on April 8, India has said no to an official invite to take part in the meet. China has actively courted Bhutan in the recent past with Thimphu seeing regular visits by Chinese ambassador to India Luo Zhaohui. China’s vice foreign minister Kong Xuanyou also visited Bhutan last year. Ambassador Luo had last visited Bhutan in February this year when he was accompanied by a cultural delegation from China which performed on the occasion of Chinese spring festival. Bhutan’s new government headed by PM Lotay Tshering of the Druk Nyamrup Tshogpa (DNT) party wants to reduce Thimphu’s excessive reliance on hydropower which it exports to India. India also closely follows Bhutan’s talks with Beijing on their border dispute and it is of concern to the government that increasing China-Bhutan engagement follows China’s, as strategic affairs expert Brahma Chellaney says, effective control over much of Doklam. According to Chellaney, China has by slowly capturing Doklam now effectively overturned the land-swap deal it has long offered Thimphu, under which Bhutan was to cede its claim to the Doklam Plateau in return for Beijing renouncing its claim to a slice of land in northern Bhutan. For India though, Bhutan’s Doklam is located dangerously close to the Siliguri Corridor, which connects India’s northeast with the mainland.